Sometimes the most simple of Lush products turn out to be some of Lush’s best kept secrets. Being honest, the Blackberry Bath Bomb doesn’t exactly turn heads, it’s all one colour and not at all as exciting or nearly as pleasing on the eye as Frozen or The Experimenter bath bomb. When I first started to really get into Lush I wasn’t so sure about this bath bomb as it contained 2 ingredients I wasn’t very familiar with, bergamot and frankincense. 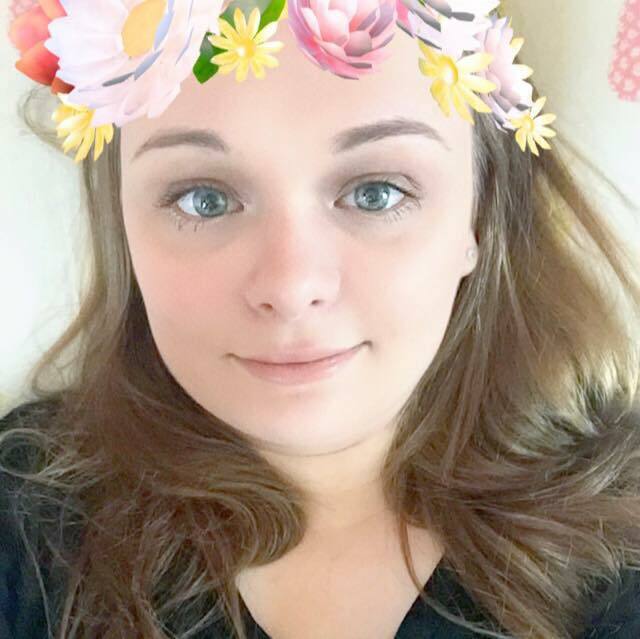 I’m not sure how everyone’s first experience with a Lush shop quite goes but if it was anything like mine, you didn’t have a clue as to where you should even start. If a newbie Lushie asks me what products I recommend they first try, I never give a name of a specific product. I always say go into the shop and go to the product that calls out to you. Next give it a sniff, if you like its scent too, buy it! 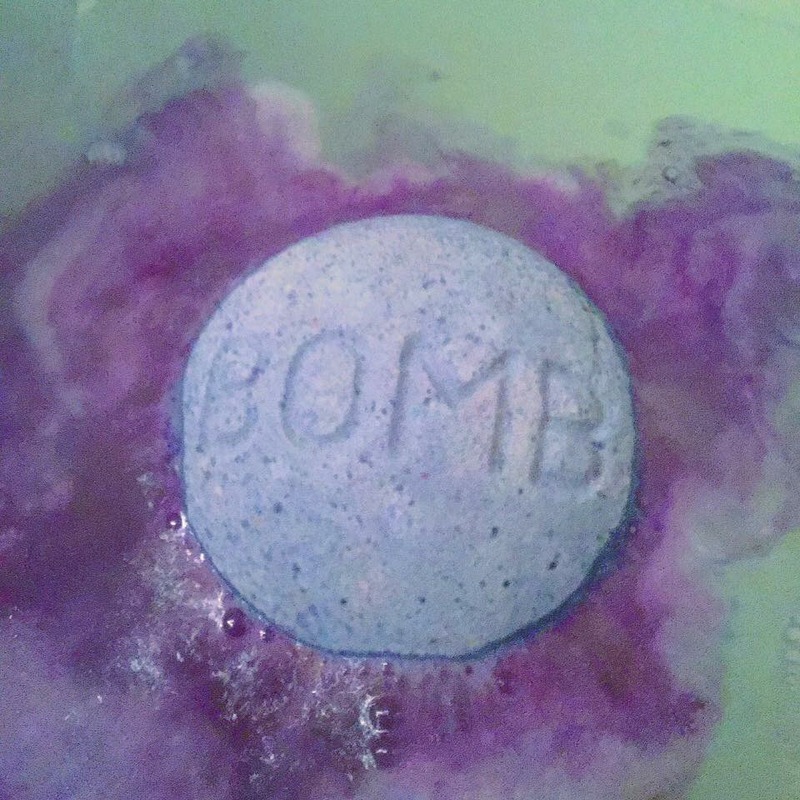 I first came across the Blackberry bath bomb several years ago, it was completely overshadowed by the product next to it, (the super bright Fizzbanger) I picked it up, although it wasn’t the prettiest bath bomb in the shop, it didn’t smell unpleasant so I decided to give it a go. Upon my very first use of the Blackberry bath bomb I discovered that it had magical properties and I now without question always have no less than 2 in my personal Lush stash. When I very first used it I almost feel asleep in the bath, this wasn’t an odd chance thing either, it still happens every time I use it. I don’t know how I even make it out of the bath and into bed. As a diagnosed insomniac this product is quite simply a miracle. It has changed my life. 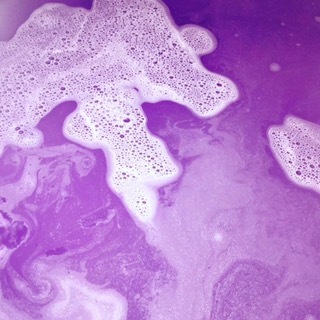 The scent of the Blackberry bath bomb stays with you throughout the next day too, if I know I have a stressful next day I always use it the night before. I 100% recommend this bath bomb, it’s a life changer, I wish I had discovered it sooner than I did, I have however well made up for it since. Quite recently I have started to break the Blackberry bath bomb in half, it still has the same effect on me but now I can have 2 baths out of the one bath bomb. There is also a little surprise at the end, I won’t spoil it for you, ENJOY! haha I did have one but I have I have zero patience… I was thinking of looking for a smaller jar, if I find one I may start again!